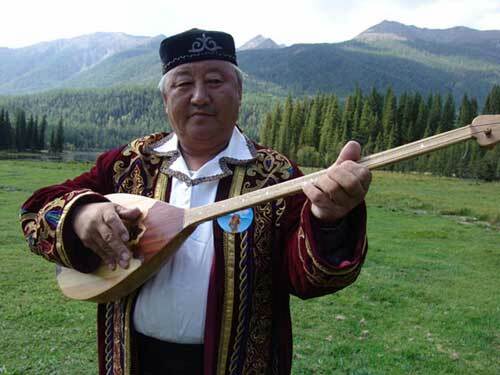 The dombra is a pear shaped long necked lute of the Kazakh people of Central Asia. It has a slender long neck with fourteen gut frets and two gut strings. Dombra have become a popular instrument with non-Kazakh peoples throughout Central Asia, Russia and in dombra clubs in the United States. The dombra is played without a plectrum and is strummed quite rapidly with the index finger, or with the index finger and thumb.